Independent on site jewelry appraisals by a G.I.A. Graduate Gemologist. Serving the Jacksonville area and The Villages Florida. What Is The Jewelry Appraisal Process? Why do I need an appraisal and how are they done? Insurance replacement appraisals are done to help you acquire jewelry insurance. Other needs maybe to determine the re-sale value to help you sell your jewelry, to help with estate planning, or for other legal proceedings. 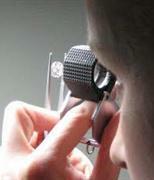 Your jewelry is examined while you wait and watch, no need to leave them with the appraiser. 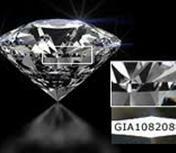 All important components are fully described, including gem identification, and quality analysis of clarity, color and cut. Measurements are taken to determine stone weight and mounting descriptions. Multiple digital photographs are taken, and values are assigned. The finished documents are provided in digital form, and given to you. We then archive the documents, so they can be updated when needed in the future. Why Get An Independent Jewelry Appraisal? Most Retail Jewelers are not trained in jewelry appraising and have a “conflict of interest”. Most insurance companies require the item to be examined and valued by an appraiser who is a G.I.A. Graduate Gemologist (G.G. ), who has specialized training in jewelry appraising, and prefer someone who is not a seller or buyer of jewelry as they have a “conflict of interest”. Many jewelry store appraisals are missing important descriptions and often written by someone who is not specifically trained in appraising or have a Graduate Gemologist degree. That’s why many jewelry retailers use independent jewelry appraisers for their customers appraisal needs. At Expert Jewelry Appraisers, we do not buy or sell jewelry, are Graduate Gemologists and have extensive training in jewelry appraisals theory. We are also the recommended appraisers for many insurance companies and agents. Cost for jewelry appraisals vary based upon a few factors. Prices start at $65 for each item. Cost of jewelry appraisals should be determined by the item’s complexity, and the time required to complete the appraisal, not based on the final value of the item. Most items can be appraised in about 30 minutes. Our appraisal fee for each “typical” item is $65.00 Complex items or items requiring additional time for research are quoted on an individual basis. Our onsite appraisal service may also require additional travel fee’s if your location is out side of our normal service area. Consultation services are charged by the hour plus travel fee’s if any.